What’s very special about Rah-Rah is the fact their sound simply cannot be pigeonholed. Each one of the 11 tracks on the LP can be associated with a long list of very eclectic artists yet always upholding Rah-Rah’s individuality. All I Got Is Today for example is poignant towards Bob Dylan, Mystery Jets and topped with the Lucius-esque powerful harmonies, yet Diamond brings in the Suede-like murky glamour into the mix whilst still maintaining their native Rah-Rah-ness. Rah-Rah have clearly mastered the power of sonic freedom which they assimilated with every bit of every song on the record. 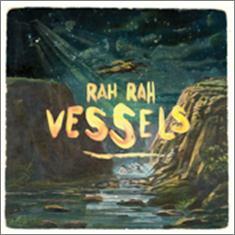 In other words, Rah-Rah are destined to turn many heads and ears with their upcoming ‘Vessels’ LP which is out for sale and download everywhere NOW.